A bit of gothic SF fun with no deeper undercurrent to explore, this is a sort of throwback to the Philip Hinchcliffe era, though hardly approaching that level in any respect. Mark Bonnar takes a lot of the airtime with his Zoltan Frid (a bit on the nose there, referencing both Dracula’s dog and the star of Dark Shadows), groaning in a coarse accent and sounding for all the world like your standard Nick Briggs thug, with the better part of what remains going to Kate Bracken as our rather questionable vampire hunter Celia Soames. 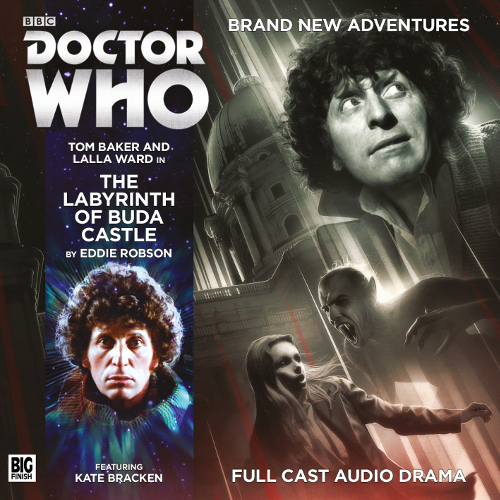 As such, there’s not a hell of a lot for Tom Baker or Lalla Ward to do here, beyond a touch of bickering early on and a few drive the story question and answer bits. This leaves the story feeling a bit skewed, particularly if you tag in a few military walk ons. There’s also not a tremendous degree of atmosphere, as bar a few minutes of arrival and Romana’s quick visit to the local pub, it’s all fairly chatty – a strange thing to ascribe to audio drama, but applicable nonetheless. It just doesn’t feel like the typical level of action and evocative setting is brought out through the script and sound design this time around. Despite The Doctor’s opening dialogue, it feels like a real opportunity to explore and evoke a sense of place and setting was inexplicably squandered here. It’s listenable enough, to be sure, but had the prospects to be so much stronger of an offering than it actually proves to be.